Look out! Here comes our Mechanical Surfboard Deluxe Ride! The Mechanical Surfboard will make you test your skills making you feel like you are riding the waves of Maui. 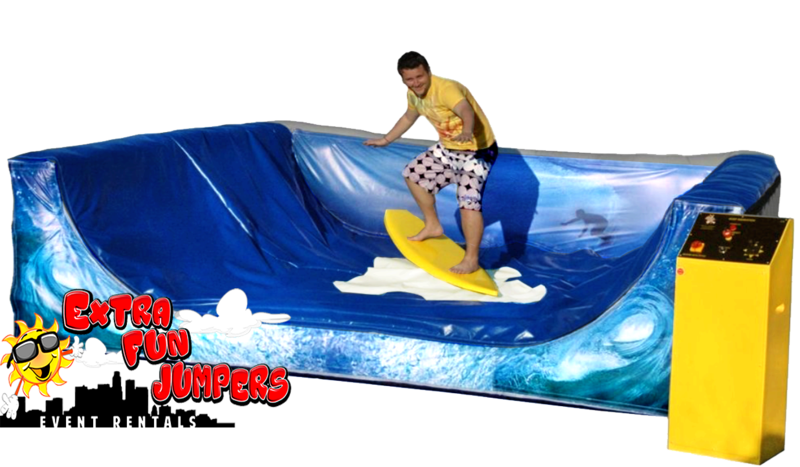 It is great for all occasion and ages, 200 pounds weight limit. Riders attempt to ride the Mechanical Surfboard Deluxe and battle for the best time against opponents!